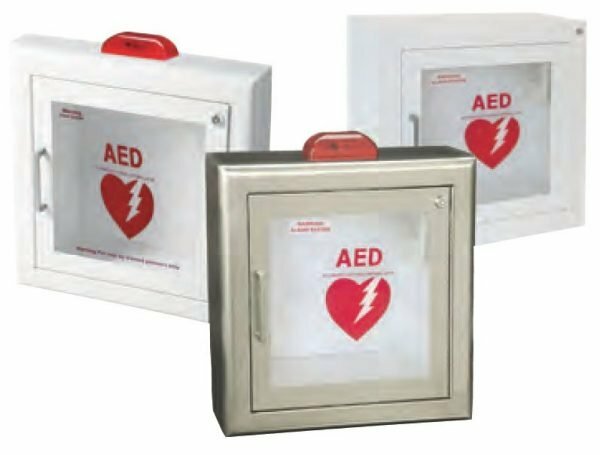 J & L offers a large selection of emergency specialties and AED cabinets, including steel, stainless steel and aluminum in many trim styles and optional features. 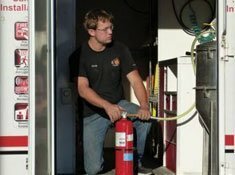 Provide More Lifesaving Equipment by Including Emergency Oxygen with Your AED. Door & Trim Construction: CRS with white powder-coat finish, #4 stainless steel or clear anodized aluminum. 1-3/4” trim on face and door, mounted in a 5/8″ door stop and attached by a continuous hinge. 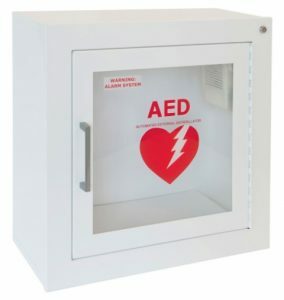 All models feature a clear acrylic window with graphics, zinc-plated handle and roller catch. Trim Style & Depth: Surface-mount has a square edge. Recessed – 3/8″ flat trim, Semi-Recessed – 1-1/2″ square edge or 3″ rolled edge. Alarm: 85 db Commander (audible) alarm standard. 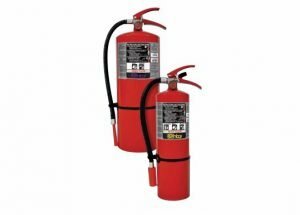 Oxygen: Accommodates up to “D” size cylinder. Available with patented Tx02 oxygen system that features easy-to use automatic flow system. Tub: White powder coated CRS. Fire-rated option available. 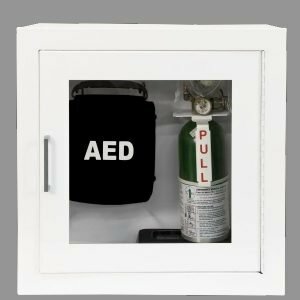 Protect Your AED From Moisture and Dust with this Durable Surface-Mount Cabinet. 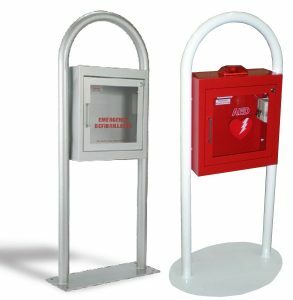 Construction: This AED cabinet is constructed of galvanized steel and powder coated for a durable, water resistant finish. Stainless steel turn handle and fully gasketed. Designed to Accommodate Most AED’s on the Market Today. Door & Trim Construction: CRS with white powder-coat finish, #4 stainless steel or clear anodized aluminum. 1-3/4″ trim on face. 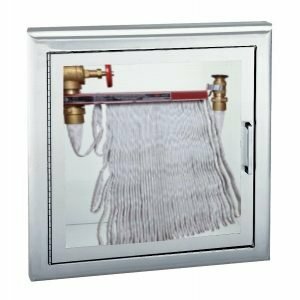 Formed door with 1-3/4″ trim, mounted in a 5/8″ door stop with zinc-plated handle and roller catch and continuous hinge. 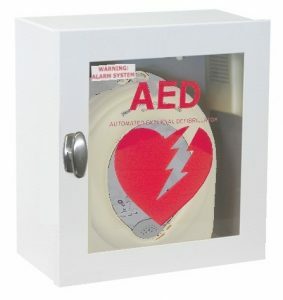 View AED through a clear acrylic window with graphics. Tub: White powder-coated CRS. Fire-rated available. This Decorative Stand with a Surface-Mount Steel or Aluminum Cabinet can be an Attractive Addition to a Building’s Décor by Coordinating Finishes and Paint Colors. Construction: 52″ structural steel tubing and steel baseplate. White epoxy or silver metallic finish standard, with custom colors also available. Alarm Connectivity Switch: Magnetic Door contact (14MAG) or Roller Reed Contact (14RR). 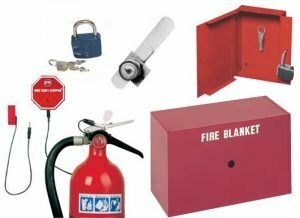 Optimal door styles – most FEC styles available.